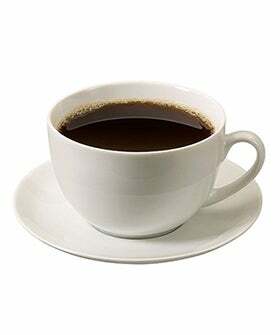 Coffee Three Times A Day Keeps Liver Cancer At Bay. Really? How many cups of coffee do you drink a day? If three is your magic number then you might be pleased to learn that a cup of Joe doesn’t just keep you awake — according to a new study, it might be keeping you alive, too. The latest research, conducted by Dr. Carlo La Vecchia, suggests that three cups of coffee a day could keep liver cancer at bay, reducing the risk by a staggering 50%. The study looked at meta-analysis of articles published between 1996 and 2012, involving 16 high-quality studies and a total of 3,153 cases. “Our research confirms past claims that coffee is good for your health, and particularly the liver,” says Dr. La Vecchia. Scientists have already found coffee prevents diabetes — a known risk factor for liver cancer — and has beneficial effects on cirrhosis and liver enzymes to boot. Is there anything this hot beverage can't do?